Can You Smoke Pot in Minnesota? In Minnesota, marijuana is a controlled substance and therefore is currently illegal for any non-medical uses. Possessing a small amount of marijuana, less than 42.5 grams, is a misdemeanor. Carrying more than 42.5 grams is considered a felony in Minnesota, and fines increase depending on the amount of marijuana the person has. Repeat offenses and dealing or distributing marijuana also carry potential jail time. Driving under the influence of any amount of marijuana can result in jail time, license suspension, and fines. First-time offenses involving small amounts of marijuana are treated similarly to traffic violations; prison time is unusual, and charges are generally unlikely if the marijuana is for personal consumption. Possessing less than 42.5 grams of marijuana. a misdemeanor carries a fine of $200 and possible required drug education. First-time offenders can usually avoid a criminal record. Possessing more than 1.4 grams of marijuana in a motor vehicle also is considered a misdemeanor that carries a fine of $1,000 and up to 90 days in prison. Distributing less than 42.5 grams of marijuana without remuneration (meaning you get caught holding before any money has changed hands) is a misdemeanor with a fine of $200 and a possible drug education requirement. Dealing any amount of marijuana is a felony with jail time and a fine. The more marijuana you possess when you're busted, the greater the fine will be. And selling or dealing marijuana in a school zone and bringing marijuana into the state have stiff penalties. Again, these are the penalties for recreational possession or use of marijuana. The rules are different for medical marijuana. In May 2014, Minnesota legalized medical marijuana use for people with specific chronic health conditions. 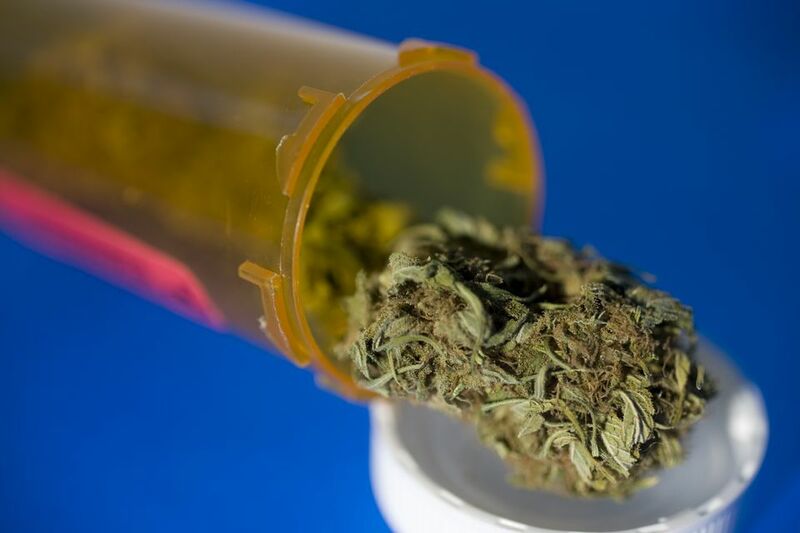 Medical marijuana sales began in July 2015. Although smoking marijuana is still illegal in Minnesota, patients with qualifying conditions may take the drug by vapor, liquid or pill form. Conditions that qualify for treatment with marijuana include amyotrophic lateral sclerosis, cancer, Crohn's disease, glaucoma, HIV/AIDS, seizures, severe and persistent muscle spasms, terminal illness, and Tourette's syndrome. Even if it is being used for medicinal purposes, marijuana must be purchased from state dispensaries, and patients are only allowed to purchase a 30-day supply at one time. As of 2019, Nearly half of the states in the country have laws permitting medical marijuana use. Ten states have legalized some sort of recreational marijuana, including California, Washington, Oregon, Colorado, Michigan, Massachusetts, Maine, Vermont, Alaska, Nevada, and the District of Columbia. There is a trend toward legalization of recreational marijuana use and Minnesota is reportedly considering it but will need to put the law up to a public vote. A December 2018 Forbes article reported on incoming Minnesota Governor Tim Walz’s statements indicating he intends to fight for legalization of recreational Marijuana.